Do you ever wonder why winemakers are always “worried” about the weather at harvest? Why do we constantly, and I do mean constantly, check the weather reports? The main reason is that we need to know if there are any “problems” looming. Might rain be on the horizon? And, if so, when? How much? What kind of weather follows the rain? Or perhaps a heat spell is forecast. How hot? And for how long? Armed with that intel, winemakers can then more appropriately decide when to pick a certain block. For example, if a heat spell is predicted and I have a block that is very close to ready, I may pick it a day or two too early just to protect that fruit and to get it into the house. On the other hand, if extreme heat is predicted and a block is healthy and far from ripe, I am much less inclined to pick prior to the heat wave. Weather the heat and regroup. Same thing with rain. Sometimes it is better to pick ahead of rain, others times we’ll just sit it out, knowing then that we’ll have to be particularly diligent about looking for and handling bunch rot if it shows. The photo shows today’s forecast and it is as close to perfect as a winemaker can hope for! Cool nights and mornings with sun and warmth in the afternoons. That combination helps the grapes maintain solid acidity while slowly accumulating sugars. It concurrently allows winemakers to space out picking dates a little more, which eases the pressure on the pickers, on trucking and on the cellar. We’re tired enough without the added pressures of inclement weather so have a glass of your favorite Notre Vue or Balverne wine and pray for warm days ahead! You’ll be rewarded with stunning wines from Harvest 2017! Cheers! Harvest 2017 - So far, so great! One minute we’re sitting around waiting for grapes to ripen and watching the weather reports, next minute we’re knee deep in Sauvignon blanc and Pinot noir! But still watching the weather reports! Yesterday we kicked off Harvest 2017 with some Pinot noir destined for the reserve tier. Always good to start with the best and hope to hell everything works perfectly on Day One. And it did! We now have Blocks 12A and 12B in house and I am happy to report good sugars, good acidity, great color and most importantly great flavors! Already we can taste lush, spicy black cherry berry flavors creeping into the sweet juice. Color is slowly extracting. We’ll keep these two lots on “cold soak” for four or five days until we have solid extraction of color and flavor. Then a quick check to make sure sugars and acids are good and off we go! We’ll pitch with yeast, stand back and watch the magic happen. Our dear friend Saccharomyces will start munching up all the sugar, converting it to alcohol and carbon dioxide, and the cellar will fill with delicious aromas of fermentation as the delicious juice becomes precious wine! Today we are processing the Sauvignon blanc. The pristine grapes started arriving at the winery at about 3 AM with the first press load getting underway at 6:30 AM while everything was still cool and with a light fog lingering until sunrise. We’ll do four press loads today finishing up at about 8 PM tonight. Then clean up. Ah, harvest . . . gotta love watching that overtime pile up! Yesterday our harvest intern was a rookie. Today she is already a full-fledged cellar hand! A great thing about interning here and helping us out with the harvest activities is that, due to our smaller size, each intern gets exposed to all aspects of the winemaking process very quickly. They’ll do lab work, analyzing juice and wine samples for acidity, sugar, malic acid and such. Also some cellar work cleaning and sanitizing tanks and equipment, destemming fruit, doing pump-overs, making tank adds, shoveling out tanks. And, yes, enjoying an ice-cold beer at the end of a long, hard day! Yikes! That reminds me . . . I still need to stock the frig with beverages! A winemaker has to do everything . . . Breaking news . . . the lab just gave me the results of the juice analysis on the first load of Sauvignon blanc. Perfect numbers! Now that calls for a beer! 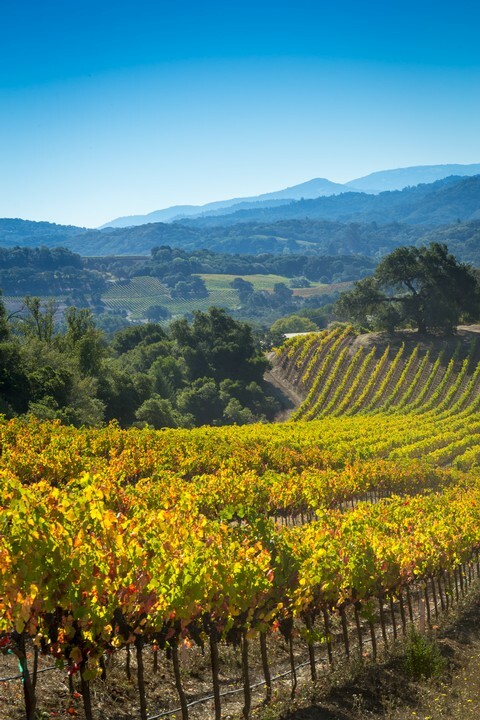 “We know a thing or two because we’ve seen a thing or two.” This classic tag line (Farmers Insurance) says it all, even for a winemaker. Or does it ? I remember my first harvest as the head winemaker vividly. Whew, I’ve finally made it! The schooling, the internships, a position as a lab tech, then as an assistant winemaker . . . it all seemed to go on forever. And certainly, as an assistant winemaker, I thought I knew just about everything about wine-making. I mean, after all, it ain’t rocket science! Or is it ? So there I was. My first harvest as head winemaker. No one else telling me what to do, when to pick, how to adjust the acids, how to predict weather, what barrels to use, what yeast to use, etc., etc., etc. Nirvana! And then suddenly everyone was looking to me for the answers. When are we gonna pick? Can we schedule a tour tomorrow on the crush pad? What fruit is coming in? The condenser on the cooling system just went down . . . want me to call somebody? Do you think it is gonna rain next week? The sugars in Block 7 are at 25.2 . . . wanna schedule that? A grower just called . . . he has sugars at 23 and wants to pick tomorrow, OK? We have heavy bunch rot in a Chardonnay block . . . how do you want to handle that? The Merlot fermenter has a bit of a stink; what shall we do about that? “I know a thing or two because I’ve seen a thing or two” all of a sudden didn’t work. Why didn’t I “know a million things because I’d seen a million things ? ?” I felt like I hadn’t a clue what I was doing. Relatively simple things like walking a vineyard and thinking about a harvest date suddenly became seriously major decisions that I seemed unable to make. Heat wave on the way, or rain pending, or need to pick tomorrow or we can’t get a truck for a week. All these decisions to be made! I thought winemakers just sat around enjoying five course lunches with their sales distributors every day! I made it through that first harvest in good shape. But, man, did I have renewed respect for winemakers! No, it’s not rocket science but there is a lot to it and there is always more to learn. Even entering my 28th harvest in a few days, I know I’ll experience something this fall that I have never seen before. I guess that is part of the draw in any business. There is always more to learn, always more ideas to test out, always a better way to do things. Which is exactly why harvest time is so exciting! As demanding as it can be, as busy and tiring as it can be, the thrill of a new start, of new and hopefully even better wines being made . . . it’s a great time of year! “I know a thing or two because I’ve seen a thing or two.” Yet none of us has ever seen everything and I, for one, certainly don’t know everything. But I’m ready to tackle whatever the harvest delivers knowing we’re prepared to do the best we can and that my team is ready to face whatever Mother Nature sends our way! Time to get back to the weather reports, check the daily sugar sample report and then head out into the vineyards and get ready to start picking! I just got back from sampling the Sauvignon blanc and two Pinot noir vineyards. Yikes! The numbers indicate the fruit is almost ripe and, certainly by taste, things are just about ready for harvest! Flavors in the Sauvignon blanc are moving from the grassy, jalapeno, bell pepper flavors to the more tropical, ripe fruit characters we like to see in the wine. 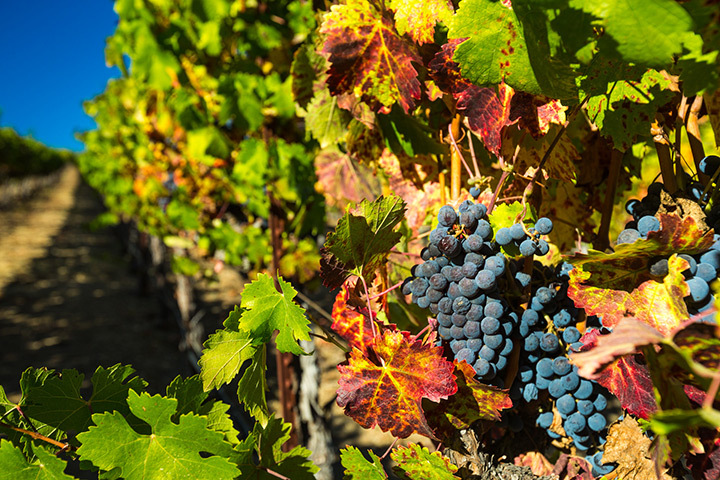 The Pinot noir is developing spicy, lush, dark cherry and raspberry characters. Yum! Checking in on the weather forecast is becoming more frequent now. This morning, as I got ready for work, I noticed that when the local weather report came on I raced to the TV to catch the updates. After the recent heat waves, we’re enjoying some more typical foggy, cooler mornings and beautifully warm, sunny afternoons. Perfect! My 28th harvest is just about to get rockin’! As July closes out and we enter August, it means but one thing . . . harvest is nigh upon us! This morning I toured the Sauvignon blanc and Pinot noir vineyards on the estate, spending a little more time than usual in each block, looking more carefully at the fruit, tasting a few berries, noticing the condition of the canopies, looking at crop loads. Such visits will become more and more frequent as the weeks pass by and the fruit ripens. 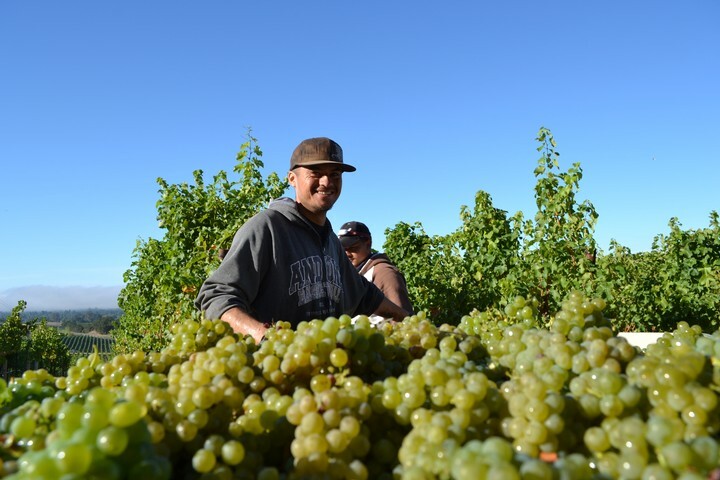 Harvest is an exciting time for all of us in the winemaking biz. Yes, it means long, tiring days are looming but it also means we’re about to start another vintage and that is a wonderful thing! Harvest interns are on call, chomping at the bit to get a chance to experience what it’s like to really make wine. We’re busy bottling up the past vintage to make room for the next. New barrels are arriving. Tanks are being scrubbed and sanitized. The crush pad will soon be set up. And interest in the weather forecast heightens! By the end of the month Sauvignon blanc will be in house and the sweet smells of fermentation in the air. Pinot noir will follow quickly and we’ll be off to the races! Stay tuned . . . I’ll keep you updated on events as they unfold. In the meantime, grab a bottle or three of your favorite Balverne wines (perfect time of year for rosé!) and join us in looking forward to a great Harvest 2017!